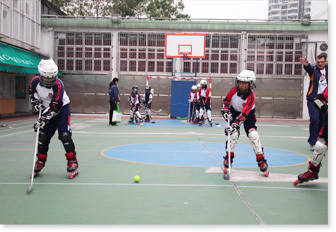 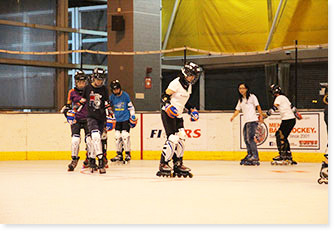 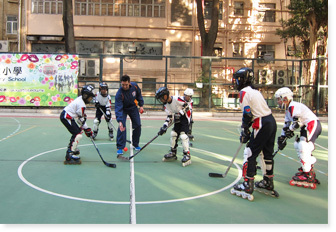 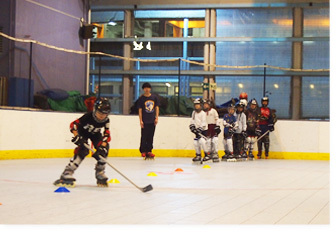 To further enhance our students’ experience through ice hockey, inline skating was introduced to primary schools, the Hong Kong Youth Ice Hockey Campaign and the PE Teacher Ice Hockey Training Course. 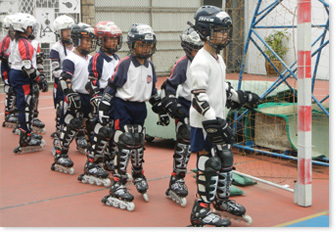 By aligning the inline program to match the ice hockey skating program, students will benefit by having more confidence on ice. 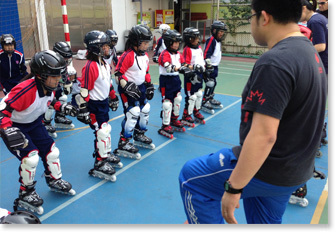 The inline program significantly helps to improve balance, turning and other ice hockey fundamentals for students.